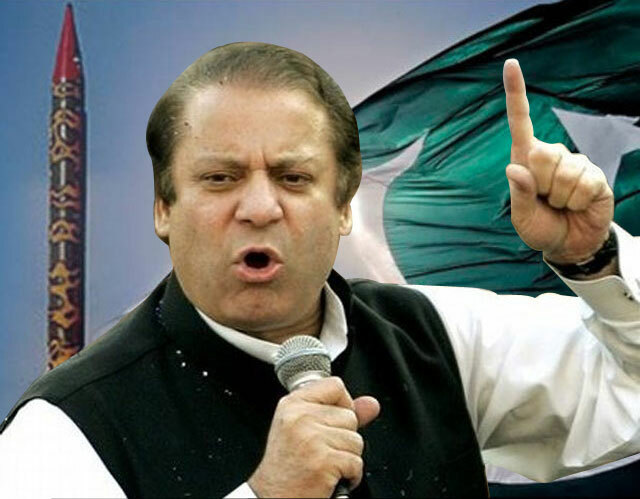 Prime Minister Muhammad Nawaz Sharif Saturday said that during last three years, the Pakistan Muslim League-Nawaz government has put the national economy on right track. Chairing a high-level meeting at Governor House here, the prime minister said the national economy was getting stable and today’s Pakistan was economically stronger and safer than that of 2013. The meeting was also attended by Governor Malik Rafiq Rajwana, Chief Minister Punjab Shahbaz Sharif, Finance Minister Ishaq Dar, Planning Minister Ahsan Iqbal, Water and Power Minister Khawaja Asif, Commerce Minister Khurram Dastgir, renowned businessmen and officials of the departments concerned. He said the government had introduced fundamental reforms to attract more investment as a smooth business system would bring in more investment ultimately creating more employment opportunities. Nawaz Sharif said in consultation with the business community, the government would facilitate the investors and emphasised the need to work harder for country’s progress and prosperity. He told the participants of the meeting that China-Pakistan Economic Corridor was a gigantic project to usher Pakistan’s prosperity. He said out of $46 billion being invested in China, $35 billion would be spent only on power projects which after completion, would not only help overcome load shedding but also provide low-cost electricity. He said work on various development projects was going on with the swift pace under CPEC in Balochistan, Sindh, Khyber Pakhtunkhwa and Punjab. Gwadar Port and Gwadar Airport are also being developed in Balochistan, he added. The prime minister viewed that not only the people of Pakistan but the whole region would get benefit from the CPEC projects what he said was monitoring personally. He hoped that the Corridor would also lead to the elimination of extremism, poverty and unemployment from the region. He said no other country but China had ever made such a heavy investment in Pakistan. Country’s renowned businessmen reposed their full confidence in the steps being taken for promotion of business opportunities in Pakistan, under the leadership of Premier Sharif. They viewed that the PML-N government had introduced the best reforms in various sectors for an uplift of the national economy. This revolution will only make NS more rich and his head more bald. Only the ellite class will benefit and the poor will be looking at their mouths. So this is the entire revolution I summarised for u in just 3 lines.